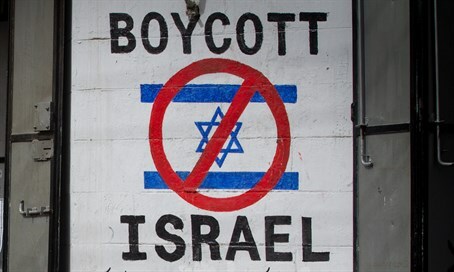 Rhode Island's approves legislation prohibiting the state from contracting with companies that boycott Israel. (JTA) -- Rhode Island's General Assembly approved legislation that would prohibit the state from contracting with companies that engage in boycotts of allies of the United States, including Israel. The Anti-Discrimination in State Contracts Act was passed June 16 by the Rhode Island House in a 63-4 vote and "in concurrence" two days later by the state Senate. The Rhode Island legislation states: "A public entity shall not enter into a contract with a business to acquire or dispose of supplies, services, information technology, or construction unless the contract includes a representation that the business is not currently engaged in, and an agreement that the business will not during the duration of in the boycott of any person, firm or entity based in or doing business with a jurisdiction with whom the state can enjoy open trade, and/or the boycott of any public agencies, entities or instrumentalities of the jurisdiction with whom the state can enjoy open trade."